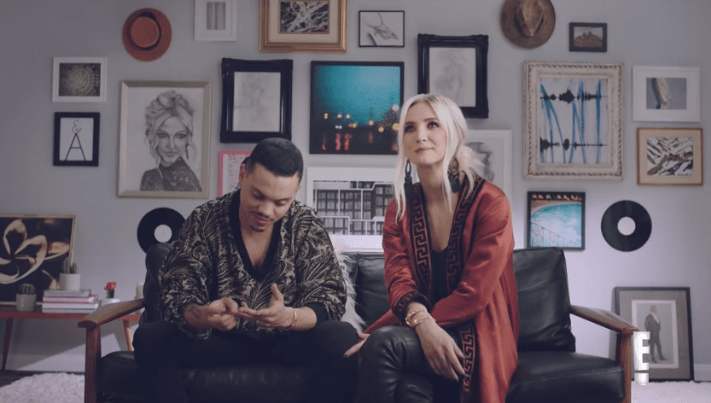 Singer Ashlee Simpson is working on a new album with her husband, Evan Ross. Ashlee Simpson has been MIA from the music scene for over a decade, but the 'Pieces of Me' hitmaker is ready to return to the spotlight. The 33-year-old and her husband, Evan Ross - the son of Diana Ross, have been working on new music together. The couple is starring in a new E! reality show called 'Ashlee + Evan', which will give fans a glimpse into their life at home and the new duets album they are working on. Speaking to Rolling Stone, Ashlee, who has two children - Bronx Mowgli with Fall Out Boy's Pete Wentz and Jagger Snow with Evan - is excited to show viewers how she juggles being a mom while working on her career. Ashlee disappeared from the music industry after a disastrous lip syncing performance on SNL in 2004 that nearly ruined her reputation as a singer. "During that time, I’d gotten two nodes, and I woke up and I couldn’t talk,” she told Rolling Stone. The 33-year-old says she learned from the experience. Here's a look at one of her hits from 2004. The couple released the track's lyric video on YouTube several days ago.